The world is going netbook crazy, according to new research from US analysts DisplaySearch. 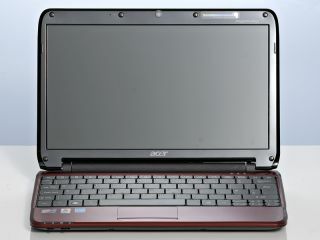 It predicts that global sales of netbooks will reach nearly 33 million units during 2009 - twice the 2008 total. Europe will see slightly slower growth - from 7.3 million to 13.3 million cut-down computers. However, traditional laptop makers (yes, that means you, Apple) shouldn't be too down-heartened. DisplaySearch estimates that worldwide sales of laptops this year will be almost identical to last year - and will still account for three quarters of all portable computers. Latin America, Europe, the Middle East and Africa have the largest appetite for netbooks - up to 30 per cent of all mobile computers - while America and Asia remain to be convinced. In 2008, 45 per cent of all netbooks were shipped into European and African markets. DisplaySearch thinks there's a pent-up demand for business laptops that might mean a rebound in traditional laptop sales once Windows 7 launches, and also predicts more netbooks with larger (11.6- and 12-inch) displays. In related screen news, DisplaySearch also forecasts the total OLED display market to grow nearly ten-fold in the next eight years, to £4.4 billion by 2016.